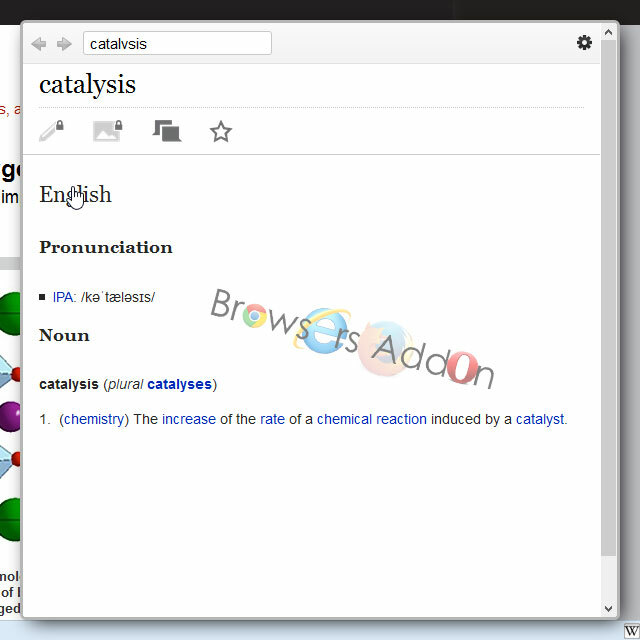 QuickWiki is an add-on for Mozilla Firefox, developed by Rafael de Freitas, which helps you search meanings and articles from Wiktionary directly from Mozilla Firefox browser with one-click without need to open new tab. Apart from English, you can add other language as second language and it supports multiple languages. 1. 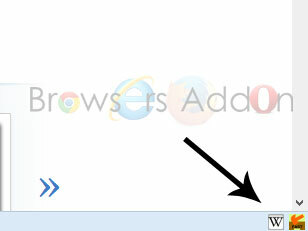 Go to QuickWiki Mozilla add-on page, or simply click on the above download link and click on “Add to Firefox“. 3. QuickWiki installation box pops-up. Click “Install Now” to continue installing add-on, “Cancel” to abort installation. 4. 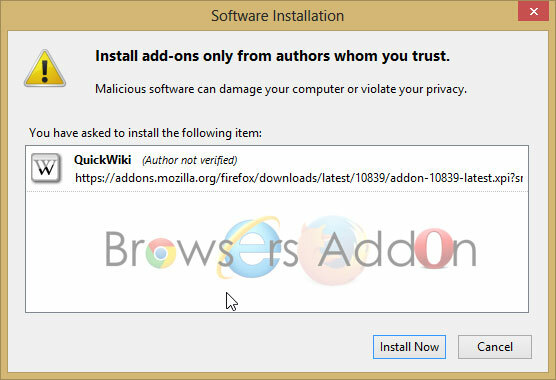 On successful installation, QuickWiki asks user permission to restart the browser. Restart the browser to activate the add-on. 1. Just highlight the word which you would like to search on Wikipedia or Wikitionary, for Wiktionary, hold “Shift” and right click (RMB) on the highlighted text. For Wikipedia, highlight the text, hold “Ctrl” and right click (RMB) on the highlighted text. 2. 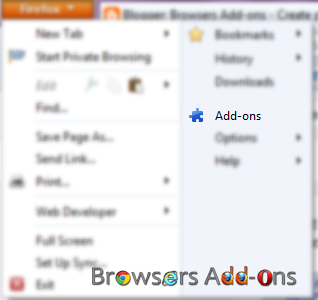 To disable QuickWiki, left click (LMB) on the W icon, which is located at bottom right side of Add-ons Bar. these shortcut keys are by default, and can be changed in Options. 3. To access QuickWiki Options, right click (RMB) on the W icon and choose your preferences. Next story How to Edit Default Search Engines in Google Chrome with One Click. 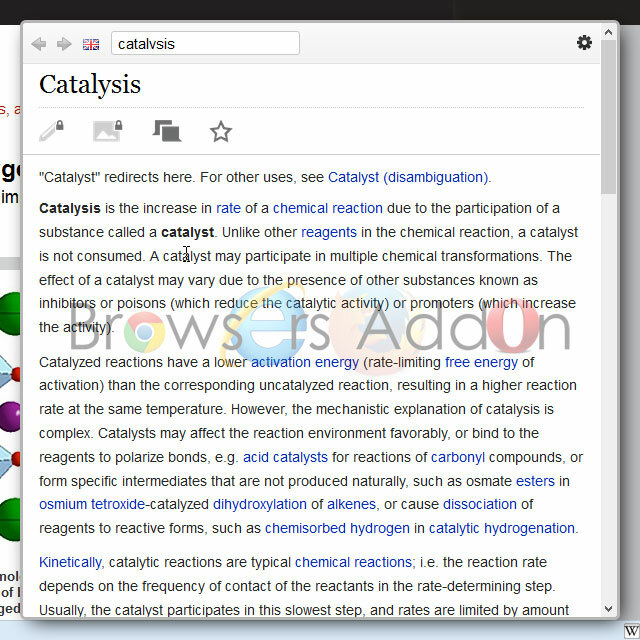 Previous story How to Calculate Quickly from any Web Browser via Google. Learn Gmail and Google apps mail keyboard shortcuts with KeyRocket for Gmail extension for Chrome.